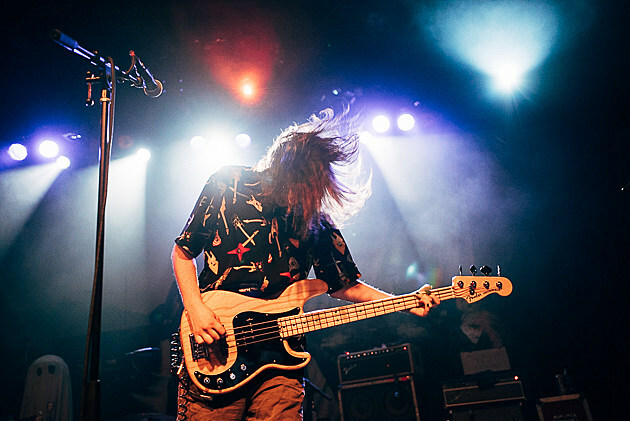 Modern Baseball are currently on tour with Brand New (who are playing Devil and God in full) and The Front Bottoms, and they just wrapped up all their NY-area shows (which were either upstate or in Connecticut). Now that those are behind them, it’s been revealed that MoBo are headining their label Run For Cover‘s one-day fest at Webster Hall on December 14. Also added to the fest is mewithoutYou, who played Knitting Factory Brooklyn last night (10/18) and will open Circa Survive’s On Letting Go tour with fellow RFC band Turnover (who also play the Webster Hall fest) in 2017. 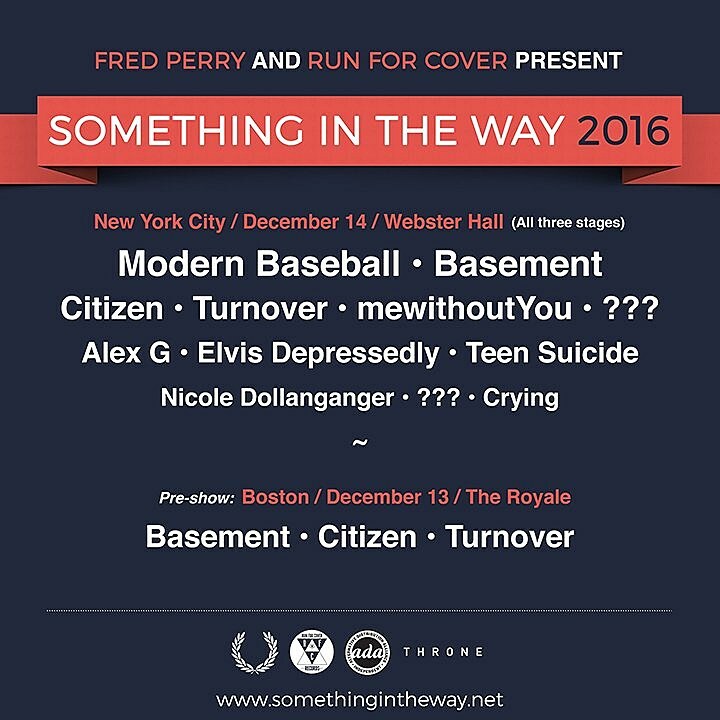 There are still two more artists TBA, and previously-announced artist include Basement, Citizen, Alex G, Elvis Depressedly, Teen Suicide, Nicole Dollanganger and Crying (who also played NYC last night). Tickets are still available. Updated flyer and updated MoBo and mwY dates, below. Jan 27 Baltimore, MD @ Rams Head Live! Mar 01 Dallas, TX @ Gas Monkey Live!